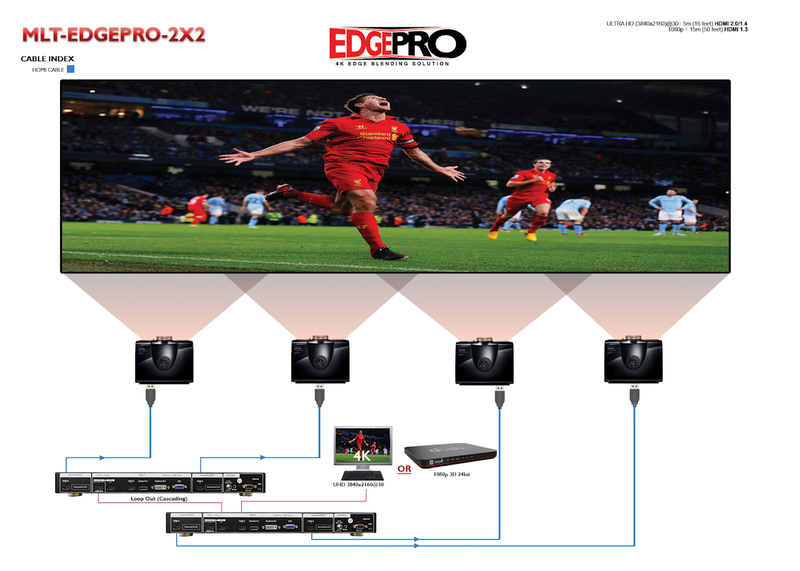 5 inputs and 2x HDMI outputs are integrated in MLT-EDGEPRO-2X2. Input ports support up to 2560x1600 / 3840x1080 @60Hz and 4K 3840x2160 UHD @30Hz resolution with 4:4:4 full color sampling. It is integrated with 10-bit high end processor with motion adaptive de-interlace, 3:2/2:2 pull-down and supports non-VESA standard input timing. black level uplift are also standard functions in the MLT-EDGEPRO-2X2. Users can see real time geometry and colour adjustments and get live on-screen optimized results. HDMI loop out supports daisy chain connection up to 3840x1080 @60Hz or 4k/2k @30Hz and allows a larger display area with multiple MLT-EDGEPRO-2X2 cascaded. 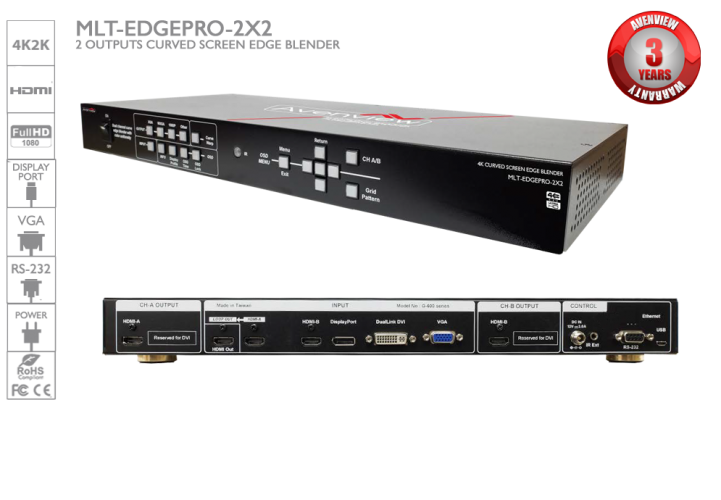 Video wall function in MLT-EDGEPRO-2X2 allows cropping and allocate source image for each projector. Complete curved edge blending can be achieved without PC, video extender or a splitter. With MLT-EDGEPRO-2X2, users can replace high end projectors with low cost projectors without lens shift, warp and edge blending features. It provides easy configuration, lower cost, reliable and flexible solution.